KANSAS CITY, Mo. – The parents of Lisa Irwin, also known as Baby Lisa, are hoping someone sees a new age-progressed photo of their little girl and speaks up so that she can be reunited with her family. 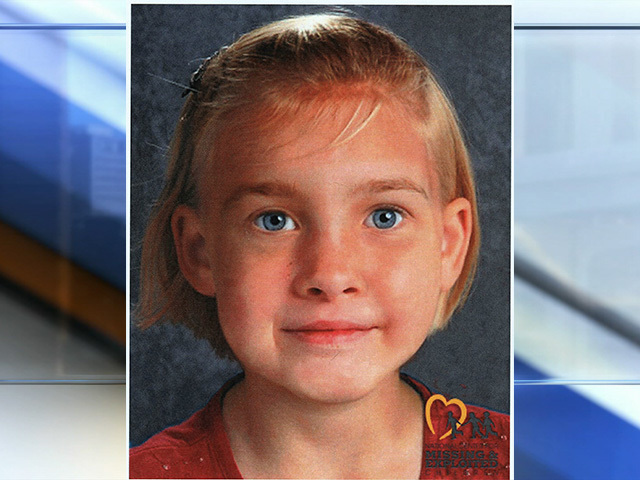 The new age-progressed photo released Wednesday by the National Center for Missing and Exploited Children shows what Lisa Irwin may look like around the ages of seven to eight. In an interview with 41 Action News Friday, her parents, Deborah Bradley and Jeremy Irwin, said they were anxious to get her name back in the headlines to remind people that she is still out there. Lisa’s parents also described the emotional toll the case has taken on their family. Lisa Irwin’s missing person case gained national attention after she disappeared from her room in the middle of the night in Kansas City, Missouri on Oct. 3, 2011. She was 10 months old at the time and would be seven years old now. Deborah Bradley was home at the time. Her father Jeremy Irwin was at work. When Jeremy came home around 4 a.m. on Oct. 4, 2011, he discovered many of the home’s lights were on, a window was open and the front door was unlocked. Later, the family told police several cell phones were missing. Law enforcement searched the family’s home. Seven years later the case remains unsolved. Lisa’s family has worked to keep their daughter in the news on anniversaries of her disappearance, in hopes that the attention might lead to a tip. Bradley is holding out hope. If you have any information about Lisa Irwin’s disappearance, you're encouraged to contact the TIPS Hotline at 816-474-8477 or the National Center for Missing and Exploited Children online at 1-800-843-5678.